Car Accident Laws, Claims, Settlements and Lawyers in Mississippi. 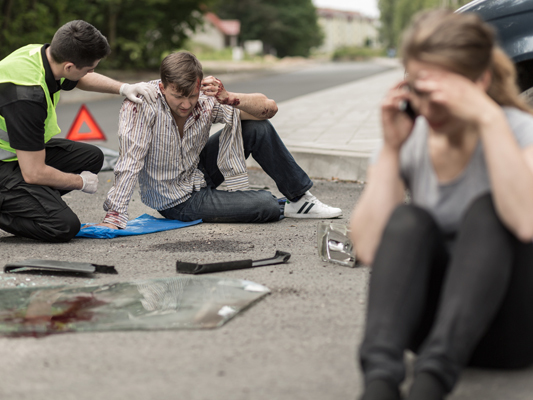 Have you or a loved one been injured in a car accident in Mississippi? If so, it is important that you contact a qualified Mississippi auto accident lawyer immediately. It is critical that a thorough on scene investigation is performed to uncover any possible evidence of negligence . Our firm gets to work quickly on car wreck cases and we can guide you through how to get treatment for your injuries and put things right by recovering for medical bills incurred as a result of the auto accident, lost wages at work from the car crash, and your pain during the time since the wreck. Every year millions of people are injured in motor vehicle accidents. Motor vehicle accidents are the leading cause of injury in the United States for people ages 1 to 34. Many vehicle manufacturers have made safety improvements to their vehicles including air bags, rollover bars, reinforced frames, better tires, etc. Additionally, many states have passed tougher drunk driving laws. As a result, many lives may have been spared. However, with an ever increasing number of vehicles on the road, motor vehicle accidents still occur with alarming frequency, and especially in a time when many drivers are distracted by a cell phone or are fatigued. In fact, according to the National Highway Traffic Safety Administration, every 10 seconds someone in the United States is involved in a car accident and those numbers are bound to continue to rise if drivers are on their cell phones. The following video gives advice on what to do if you are in a wreck: how to document the scene of the car accident, what questions you need to ask and many of the benefits of having an experienced Mississippi car wreck Attorney. In many communities, there are certain places along the road that have an abundance of white crosses, somber reminders that there are some places on the roads that are much less safe than others. If there is a stretch of road like that in your community, you are probably well aware of it, and you probably use extra caution when you drive near it. Unfortunately, both locals and visitors alike are not always aware of just how dangerous some stretches of road are or even if they do know, they still manage to get into an accident there. One dangerous area of road is the intersection of Highway 45 and State Route 145 in Clarke County. A recent fatal accident at the intersection eventually claimed three lives, as some of the people who initially got hurt in the wreck later died from their injuries. The three people that died were a man and a woman, and their grandson. Four other young people were riding in the vehicle at the time of the crash, and all of them suffered moderate injuries. None of the individuals in that car were wearing seatbelts at the time of the wreck. That intersection has been the site of twenty-five other injuries in twelve separate collisions over the past three years. Recently, another crash in the same area injured two more people. The Mississippi Department of Transportation acknowledges that the intersection is a danger zone, and it recently examined ways to solve the problem and hopefully avoid additional crashes, injuries, and deaths. The Department feels that the safest and most economical solution is a J-turn that would allow drivers to only turn right from Route 145 onto Route 45. While the Department of Transportation feels that it has the problem all figured out and plans to begin working on the J-turn right away, there is public concern about whether that is the best solution. A group of concerned citizens formed a Facebook group to call attention to the issue and to propose what they think is a better solution, a 4 or six way stop sign or red light, combined with flashing warning signs in advance of the intersection. The proponents of the red light or stop sign feel that the J-turn would result in just as many collisions, only on a different part of the roadway. If you lost a family member in a car crash or you got hurt in a Mississippi car accident, call a Mississippi Automobile Accident Attorney right away. An experienced Mississippi automobile accident attorney can help you know your rights during this difficult time in your life. Your attorney can also help you pursue a claim for damages on behalf of yourself and your family, all while you use your time to focus on helping yourself and your family heal from your injuries or loss. To find out how a Mississippi Automobile Accident Attorney can help you with your car accident claim, call the Mississippi Automobile Accident Attorneys of the Giddens Law Firm, P.A., at (601) 355-2022. Time is often not on your side, it is imperative you take immediate action as soon as possible. The initial consultation is free of charge, and if we agree to handle your case, we will work on a contingency fee basis, which means we get paid for our services only if there is a monetary recovery of funds. In many cases, a lawsuit must be filed before your claim’s expiration date, known as a statute of limitations. Please call right away to ensure that you do not waive your right to possible compensation for your injuries.When your injuries are significant enough to cause a lifetime of pain and suffering, a quick and easy settlement from the insurance company is never enough to cover the future medical costs from the auto wreck, suffering and emotional distress from the crash and being back on the road or lost work as a result of your injury in the auto accident. Catastrophic injuries such as amputation, paralysis, burns, brain damage or even death in a car wreck have life-long effects on you and your family. This is when you need the advice and counsel of a compassionate, experienced, legal advocate dedicated completely to your cause. Giddens Law Firm, P.A. has built a name for itself throughout the state of Mississippi for the amount of pre-trial preparation in all of our cases, building these wreck cases through investigation, and use of technology in the courtoom which results in many significant jury awards and verdicts. Unlike many law firms, Giddens Law Firm, P.A. limits legal representation to only a few select and serious personal injury cases and death claims per year. This is enables their legal experts to focus the most time and resources on each case in order to yield the best possible results for their clients.